The 17 minute rock symphony has been released to highlight Day Of The Dead, a 59-track Grateful Dead tribute album that features such luminaries as the Flaming Lips, Wilco with Bob Weir, Jenny Lewis, Jim James, Bon Iver’s Justin Vernon and Mumford & Sons, among others. The cover of “Terrapin Station (Suite)” sees The National guitarist Aaron Dessner – who co-produced Day of the Dead with brother Bryce – and bassist Scott Devendorf collaborate with Grizzly Bear’s Daniel Rossen and drummer Christopher Bear; guitarist-keyboardist Josh Kaufman, drummer Conrad Doucette, Sō Percussion, the Brooklyn Youth Chorus and an orchestra directed by Bryce Dessner. Day of the Dead will be released on the 20th of May in a 5-CD bundle and as a limited edition vinyl boxed set. All proceeds from the project will benefit the Red Hot Organisation. A Day of the Dead live performance will be staged at the second annual Eaux Claires Festival in Wisconsin, planned for the 12th and 13th of August. 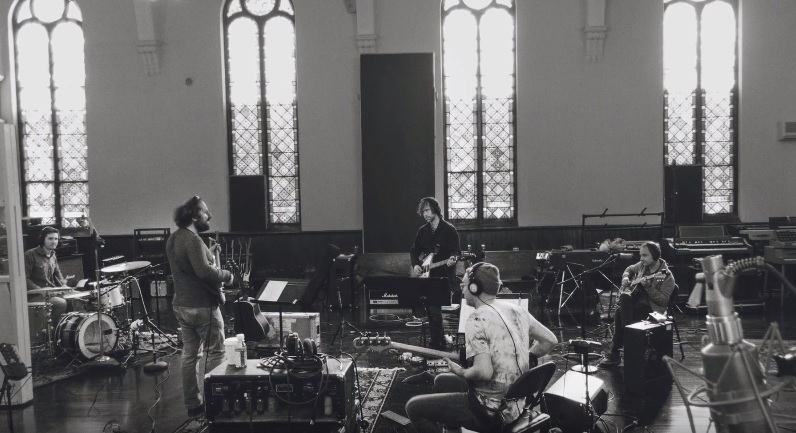 Confirmed contributors include Justin Vernon, The National, Jenny Lewis, Phosphorescent’s Matthew Houck, Lucius, Bonnie ‘Prince’ Billy, Arcade Fire’s Richard Reed Perry, Matt Berninger, Bruce Hornsby and Unknown Mortal Orchestra’s Ruban Nielson. If you’ve got 17 minutes to spare, you can listen to the all-star cover of “Terrapin Station (Suite)” below.